Colombia’s Ministry of Defense has begun new investigations into the recruitment of child soldiers in the internal conflict that has waged for 50 years. 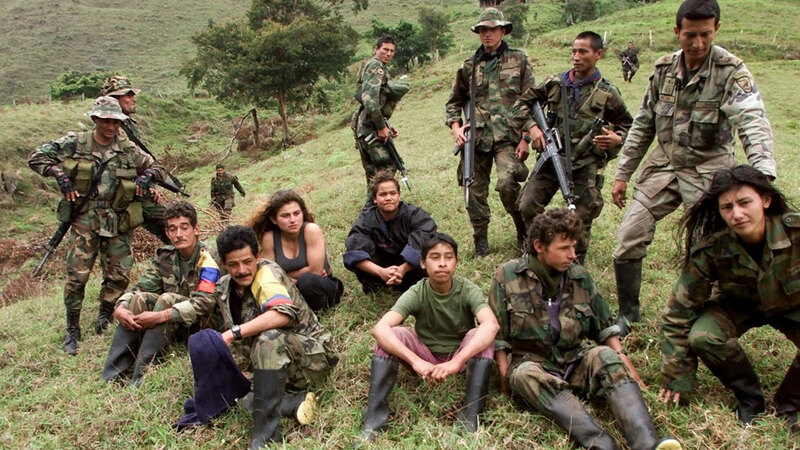 The probe comes in response to the rebel group FARC’s announcement that they will no longer recruit children under the age of 17 to fight in their guerrilla ranks. The FARC announcement has been welcomed by the government, which has been negotiating the possibility of a peace deal with the rebels since late 2012. Recruiting children under the age of 15 to “participate actively in hostile activities” is a war crime according to the International Criminal Court (ICC), while the United Nations sets 18 as the minimum recruitment age for participation in an armed conflict. Figures differ between the Ministry of Defense, NGOs and other agencies on the numbers of children involved in the war. While some argue that so far this century more than 5,000 children have been demobilized from illegal groups, the others suggest that more than 7,500 children were recruited between 1985 and 2014 by all participants in the war in which the guerrillas, the military and state-aligned paramilitary groups were active. According to the report released by the Ministry of Defense, 71% of demobilized children and adolescents admitted to participating in FARC units. Of these children, the study shows that of the “more than 5,000 children” who have come from groups outside the law, 70% are boys and 30% girls. According to military data bases, 47% of children demobilized were delivered to the National Army. The national army has already demobilized 15 minors in the course of 2015. According to the latest report from the agency Allied Children, Social Development and Research (Pandi), most of the 7722 children who were recruited between 1985 and 2014 were linked to war before they were 14 years old. Almost 36% of them came from environments with problems such as domestic violence. The study also recognized that one of the populations most affected by recruitment by illegal actors is indigenous groups who represent 3% of the total Colombian population. Children from these groups make up 14% of those registered as demobilized FARC recruits. In response to the results of this study, the director of the Colombian Institute of Family Welfare (ICBF), Cristina Plazas, called on armed groups to put aside the recruitment of children and respect the rights of minors. “The recruitment and use of children in war is a heinous crime. Men of illegal armed groups, do not deny them the opportunity to live,” Plazas said to the guerrillas. Through its program of specialized care, the ICBF has recovered over 5,600 children from these groups, of which 78% said they had been in actions that endangered their life. The wider perception about child soldiers assumes that all child soldiers were forced or kidnapped. However, statistics from a study conducted by Doctor Natalia Springer in 2012 suggest that many children “volunteer” often as a result of economic or social pressures, or because they believe the group will offer an income, food or security. The study also assessed the reasons behind encouraging child soldiers. It suggested that children may be better able to withstand the rigors of long walks, physical exertion, and poor nutrition. They tend to have better visual range, better reflexes and get sick less often. It suggested that children are also more easily manipulated, controlled and socialized out of society. “The process against socialization concludes with the replacement of basic standards in moral development: “the good fighter” does not cry, does not fraternize, does not question their own motives, nor question the authority of a commander. The child will not ask for the impact of pain caused by the effect of the violence involved in society,” stated Natalia Springer. The report claims that children may actively chose to become part of an illegal armed group because they see a life with them that is better than what they have at home. Whether they are poor, lack education, food or resources, or just yearn to be a part of a family, the illegal groups offer something better for these children. Sometimes the armed groups offer small rewards which raise interest among children in a community. Girls, for example, reported receiving new underwear, skin creams and makeup; benefits they would never receive at home. The report emphasised that, for children, it is not money but respect and visibility. The opportunity to be part of something bigger than their small village or the house they grew up in is irresistible to some. This report highlights broader problems within society. Both the FARC and the government have recognised that recruiting child soldiers is wrong. However, there appear to be underlying issues aside from the conflict which are affecting children’s lives to the extent that they would volunteer to be a child soldier.